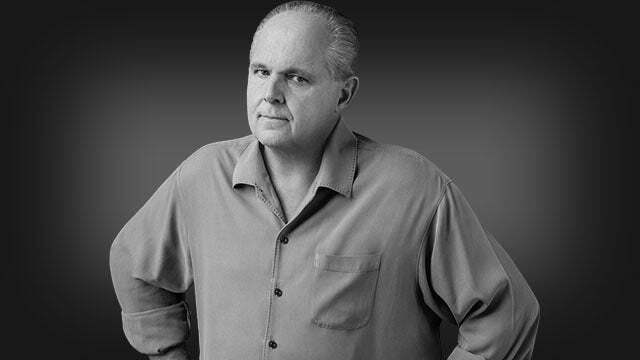 RUSH: Now, this story… Normally this would not even rate a mention, except that it matters to me. As you well know, I live in south Florida, and there are inane, ridiculous, freedom- and liberty-depriving restrictions on outdoor lighting here for eight months of the year starting in March 1st. 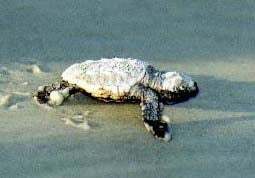 You can’t have any lights that aim toward the beach and the ocean because sea turtles (which don’t start hatching until June or July) might see the light and go to the light rather than the ocean, which is their only chance for survival. “It’s what the picture shows,” they say. And then the environmentalist wackos patrol the beach every night reporting on people they think are in violation of the ordinance. Eight months out of the year! I happen to like landscape lighting. I happen to have taken a lot of time to get it right, and don’t want to only be able to use it four months a year. It’s just a classic example — and, by the way, I’ll be happy… My lights can’t even be seen from the beach anyway, but I’d more than happy to even reduce those, starting in June when the turtles start hatching. But March 1st? “Well, Mr. Limbaugh, we really take great pleasure in angering people like you and telling you what you can and can’t do,” and that’s the bottom line. Well, get this. “City of Asheville,” North Carolina — which is where a huge Vanderbilt mansion is. “City of Asheville Tells Restaurants to Unplug Patio Lights, Leaving Diners [Al Fresco] in the Dark — In the early evening hours at Pack’s Tavern, the patio is warmly lit and merry, with a few strings of bistro lights casting a glow on tables below. But the City of Asheville says those lights violate a citywide lighting ordinance, and they must go dark. 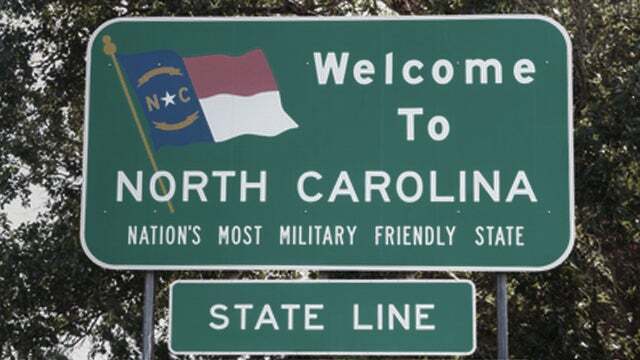 “The intent of the ordinance, most recently updated in 2012 and drafted with input from the Astronomy Club of Asheville … is to lessen light pollution, mitigate safety hazards caused by glare, and eliminate” what they’re calling “light trespassing.” You see, the light trespasses! You turn on these little, tiny bulbs that they string in the trees and the shrubs, and that light trespasses, and it upset the Astronomy Club of Asheville. And it upsets others who claim that all of this is nothing more than pollution, which is causing glare, which could blind people. There’s not enough power in these lights to blind people! What’s gonna endanger people here is darkness. The astronomy club board member said, “It’s about far more than just protecting skies. It’s creating lighting that’s adequate for safety but not glaring.” Well, who are you, Bozo? What gives you the right to basically demand everybody else acquiesce to whatever your cockeyed view of things is? What gives you the right to come in and tell the city of Asheville they gotta turn off lights here, turn ’em off there because of some nebulous thing like “light trespassing”? Protecting the skies? How the hell is the sky hurt? What is the sky? How will you define the sky? What’s the pain? What’s the harm? But, you know, when these things happen, everybody in charge of enforcing them just acts like a robot. Everybody just… The number of sheep that just accept this stuff that just accept this ongoing, daily encroachment — a little liberty here, a little freedom there — and pretty soon they mount up to a whole bunch of liberties and freedoms lost. And this is for the most nebulous, cockeyed, crazy thing. Light trespassing? We’re not talking about spotlights! We’re not talking about searchlights and beam lines. We’re talking about things that are no more powerful than Christmas tree lights causing glare, causing light pollution. One of the owners of the business said, “I hope they’ll [come to their senses and] be a little more realistic and recognize they’re supposed to be supporting, not restricting, local business.” Hey, good luck with that. The Astronomy Club of Asheville has spoken — and since the Astronomy Club of Asheville has spoken, everybody must just stand down and bend over and do whatever they demand because they are… Who? Why doesn’t somebody stand up and say, “The Astronomy Club of Asheville doesn’t have any power to tell us what we can do! Yeah, right! In the United States they can target me for not approving and not appreciating and not agreeing with what they’re trying to do here. “They can target you, Mr. Limbaugh. You better be careful.” I’m used to being targeted. This is all how it happens. I just wanted to share this with you because I knew… You know, once this stuff starts someplace, it’s gonna spread. Once they figure out through whatever cockeyed logic they’ve got that lights on is somehow bad, it’s all part of the environmental movement. It’s part of the environmental wackos. (impression) “Lights equal pollution. Lights at night are not normal. God didn’t make ’em. They weren’t there; so we’ve made ’em! Humans invented it. That means it’s bad for the environment,” and it’s no doubt got linkage to climate change because of all of the electricity that’s required to power these things. That’s how it starts, that’s how it builds — and when nobody opposes it, it just grows and grows and grows. Where it stops, who knows?